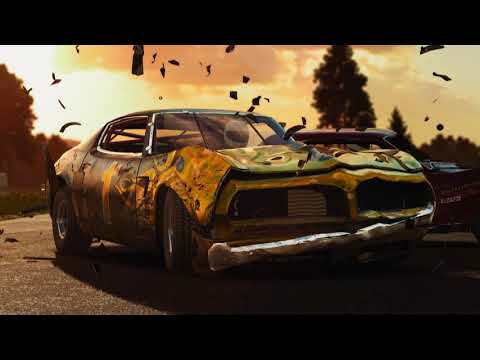 Wreckfest is a new demolition derby themed racing game with soft-body damage modeling, sophisticated driving dynamics and in-depth vehicle upgrading, featuring both demolition derbies and more traditional track races. It’s all about fun, breakneck racing and over-the-top crashes. Expect epic crashes and tight, neck-to-neck fights over the finish line on run-down racing tracks. Expect proper demolition derbies. Expect brand new ways for metal to bend and the signature once-in-the-lifetime moments that can be achieved only with true-to-life physics simulation. It’s a motorsport, but not just any motorsport. It’s a motorsport with attitude. The upcoming Wreckfest PS4 release date is 2019 in the US and the UK. Notify me when Wreckfest PS4 is available.